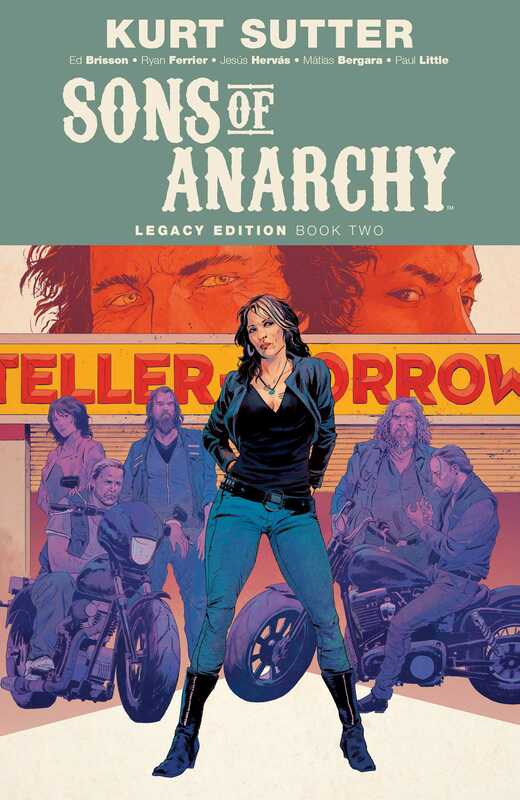 Officially licensed and part of the SONS OF ANARCHY TV Series canon, this series tells the further adventures of the SAMCRO motorcycle club that fans didn’t see on television. The Sons of Anarchy are more than a club, more than a gang, more than an organization: they are a brotherhood. However, when it comes to the Sons of Anarchy, one mistake is all it takes to fall from grace...and into violence. With tensions building between the Sons and the Mayans, Jax will have to choose between the strongest forces in the MC: family, or the club. While Jax battles for control of the club, one of Chibs’s old IRA foes comes to Charming, Opie considers leaving the club after a tragedy, and corruption in the city turns Charming into a powder keg. Writers Ed Brisson (Uncanny X-Men) and Ryan Ferrier (Jim Henson’s Labyrinth: Coronation) with illustrators Jesús Hervás (The Empty Man) and Matías Bergara (Coda) weave tales of SAMCRO deciding how deep loyalty truly runs.